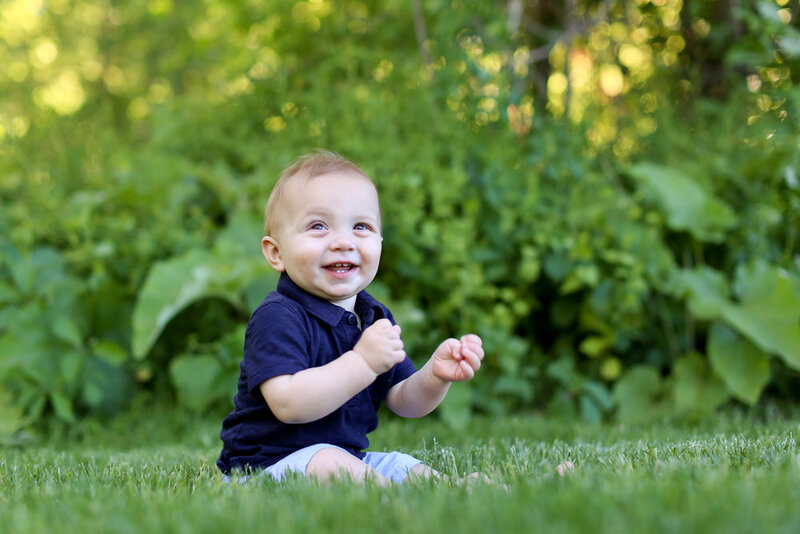 A while ago I wrote a blog post about why I chose to be a lifetime photographer and why I think finding a lifetime photographer is important for your family. If you missed it you can check it out here. 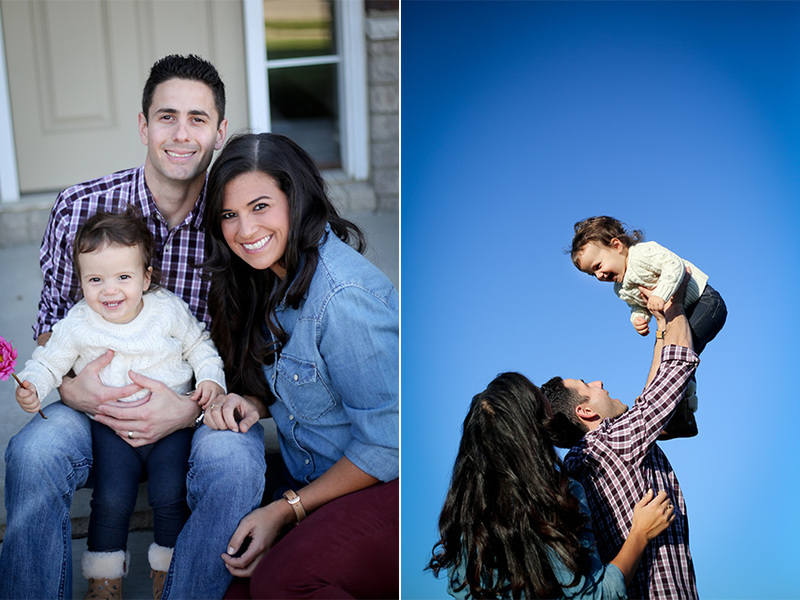 This family right here is a perfect reason why I love getting the chance to be a family's lifetime photographer. 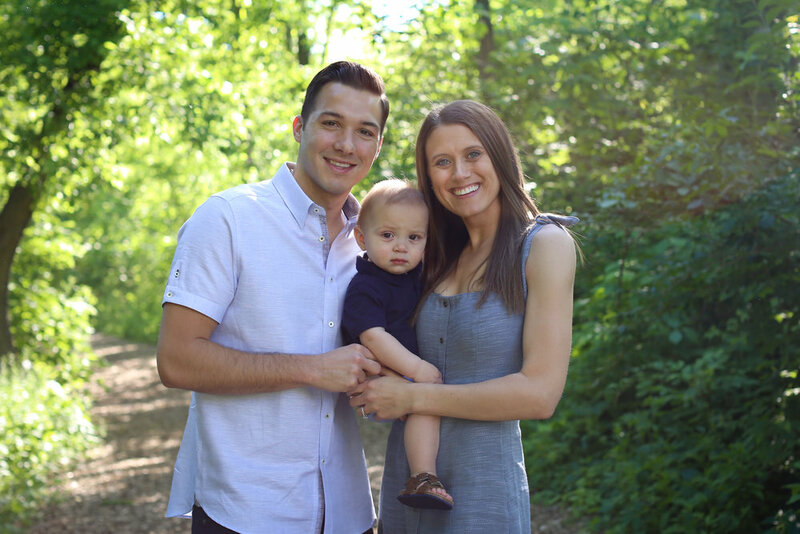 I met Sarah and Ben when they were expecting baby Henry. I photographed their maternity session and then a few weeks later I was able to photograph Henry as a newborn. We captured his 6 month photographs later that year and now he is one! It has been such a pleasure watching him grow over the past year and getting the chance to catch up with his mom and dad along the way. 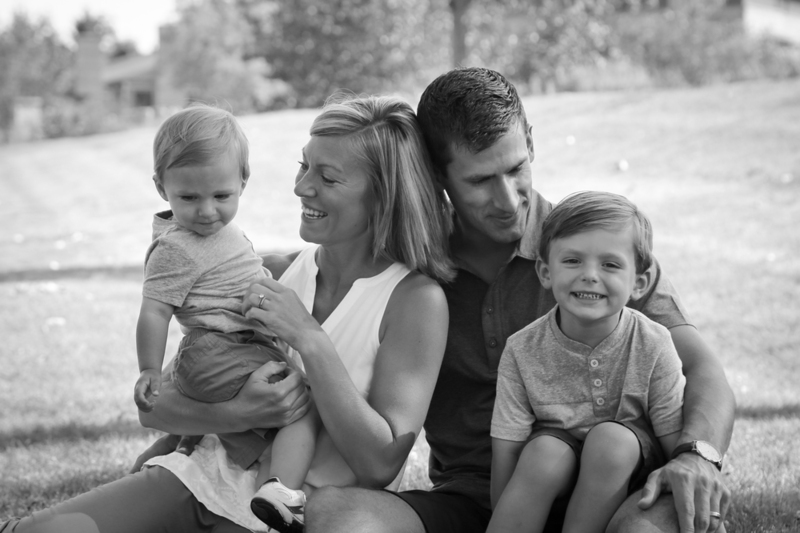 I love that this family knows who they are looking for when they show up for a shoot, what to expect from the session, we can joke about past shoots, catch up on Ben's job, and they even ask about my past adventures. It makes the whole process so much more enjoyable and comfortable for everyone. So enough about lifetime photography (even though I think it's the best!) and back to this sweet family! 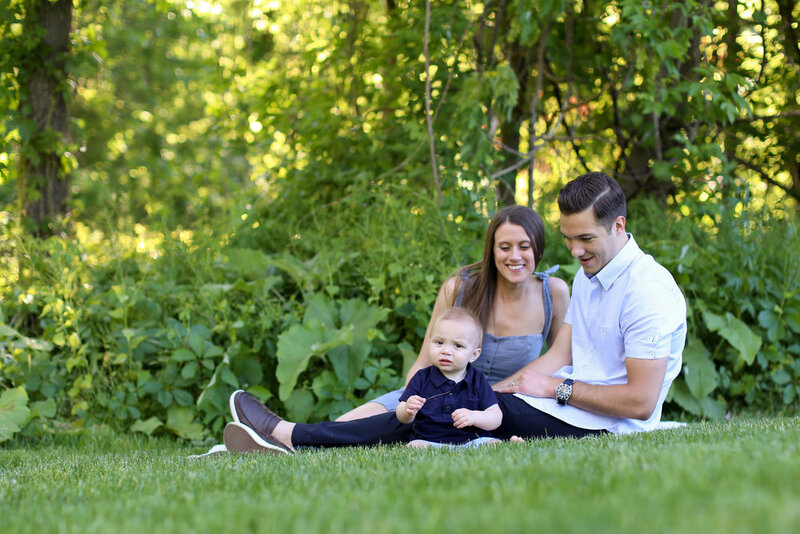 Sarah and Ben were prepping for their little guy's first birthday later that week, so we captured a few photographs of them together to celebrate. Henry was so enamored with his new surroundings that he tried to hold out on us with those smiles. He just careful took in everything at the park- from a group of high school kids that offered to blow bubbles for him to all of the dogs out for their evening walk. Thank goodness, Mom and Dad knew how to pull those big laughs out of him! 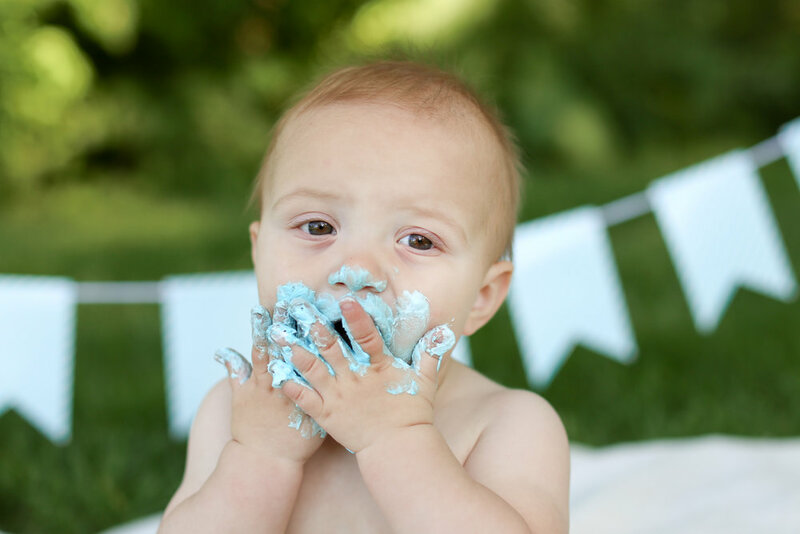 Henry's favorite part of the shoot had to be his cake! 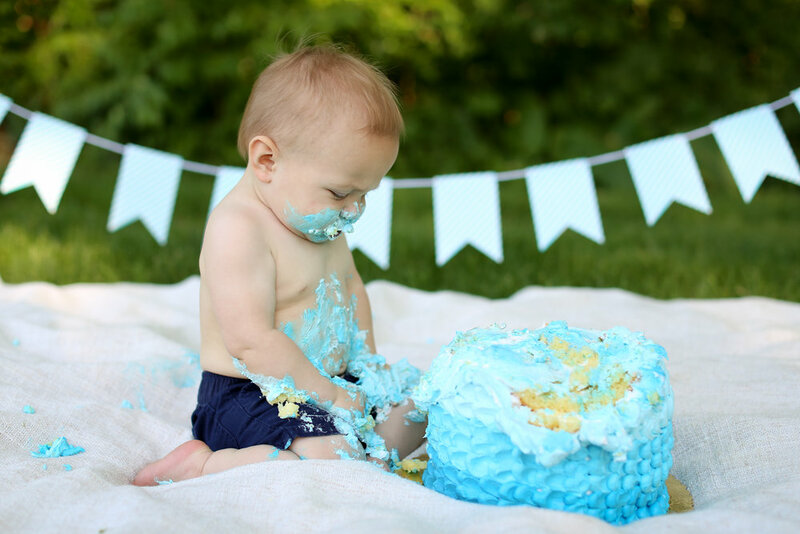 That cake was almost too gorgeous to let him smash, but once he saw it there was no holding him back! For someone who had never tasted cake, he certainly knew that he liked this new sweet treat! 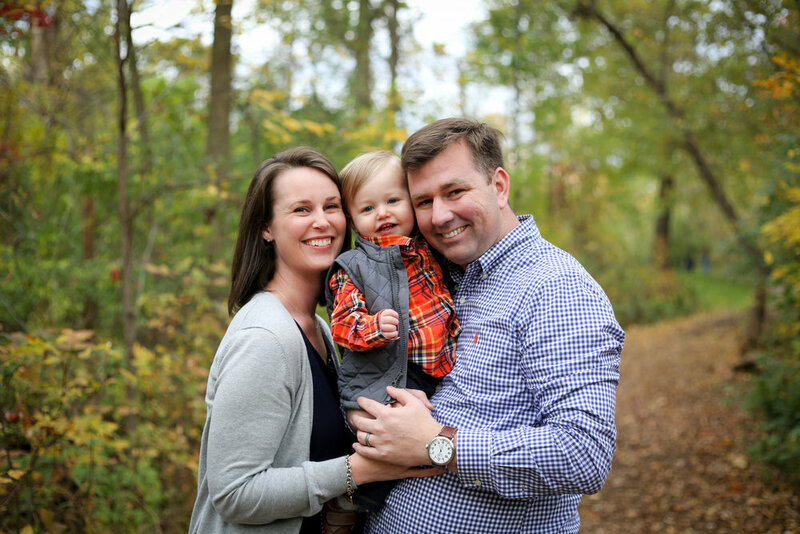 Happy first birthday, Henry! 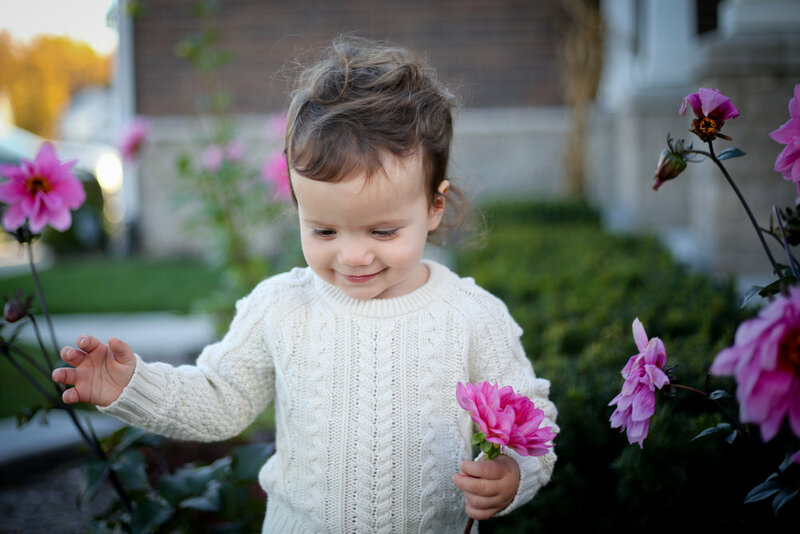 Oh the cuteness in this blog post, please just prepare yourself for it! The Conklins were an absolute dream family to work with. We got together on one of those days when I was balancing weather, traffic, and 7 different shoots in what felt like 7 different locations. They were so gracious to my texts and slightly changing schedule throughout the day, when I am pretty sure I sounded like a mad woman. 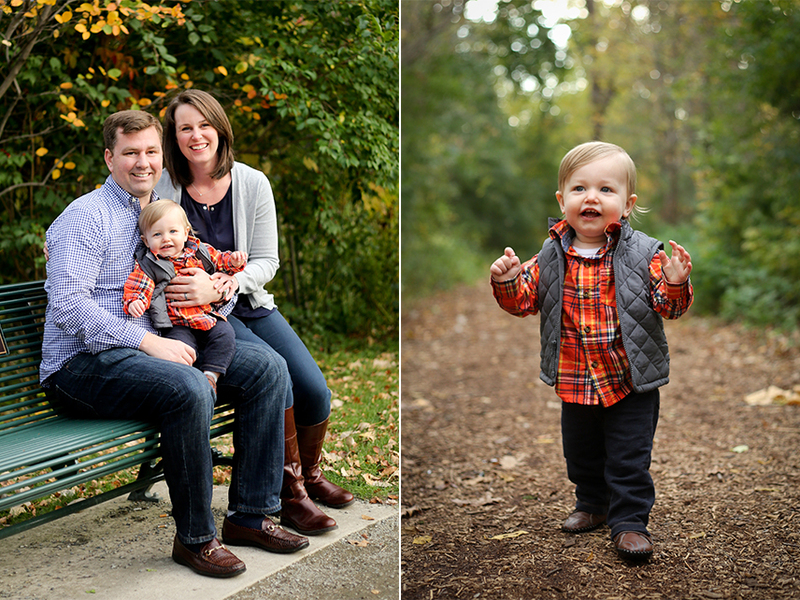 When we started their pictures a very dark rain cloud loomed in the backdrop, and you know what their little guy did? He smiled. He smiled the whole time. I would give him a little peek-a-boo from behind the camera and he would just keep on smiling back. I swear he never fussed or shook his head no. He even leaned into me to hold him when I walked by him and would come up for a hug after different poses. It was the best. The colors were really starting to peak this weekend and I am so happy with how these pictures turned out. 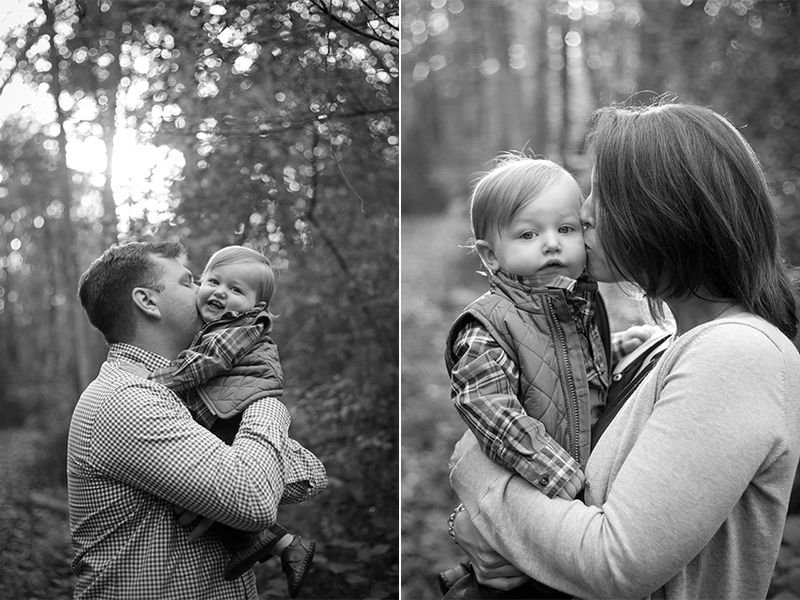 I love capturing parents with their first little one, and this momma and dad have so much love for their guy it is contagious. Thank you so much for letting me share in capturing the memories of this sweet stage of life with you, Conklin family. 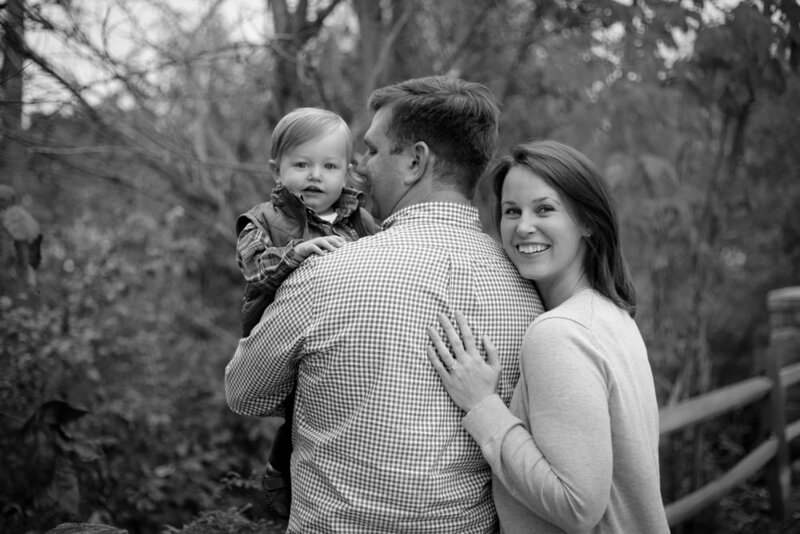 Photographing my family- I am going to be honest with you on this topic. 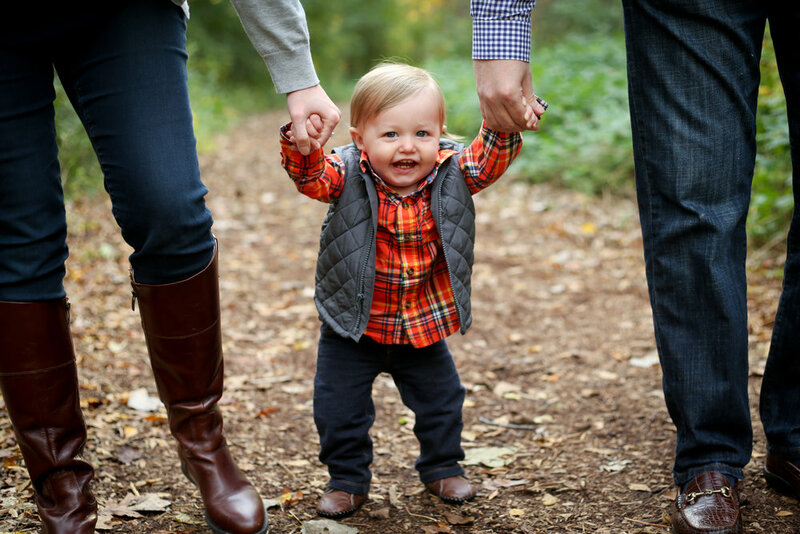 The times when I get to photograph my family are some of my very favorite shoots. My nieces and nephews are my favorite people in the world and they are constantly making me smile. 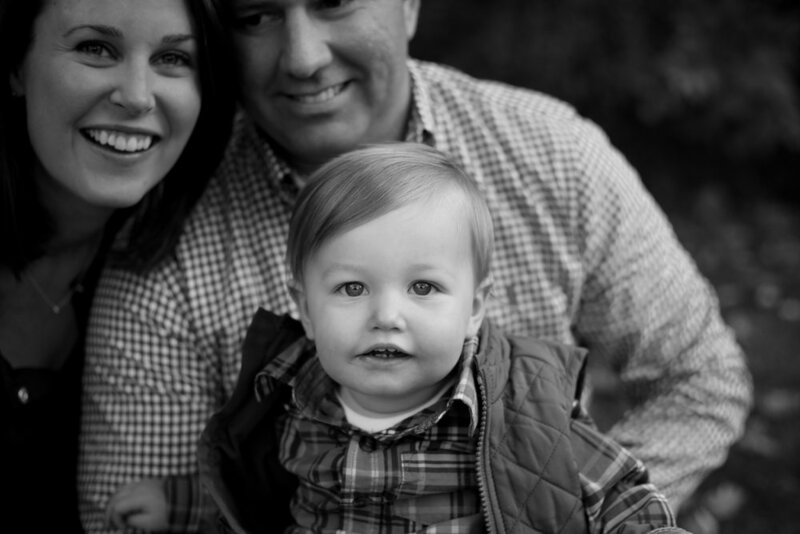 There is just one problem when it comes to photographing family. Sometimes we all forget we have a task! There is an expected outcome after our time together. Which is different than most of our time together, and can be difficult to articulate to and manage with little ones. Sometimes during a shoot with my family I think, oh gosh we are just playing around. We are having too much fun. Focus, re-center, get back to posing. But the more I think about it the more these shoots make sense. We should be playing and having fun. 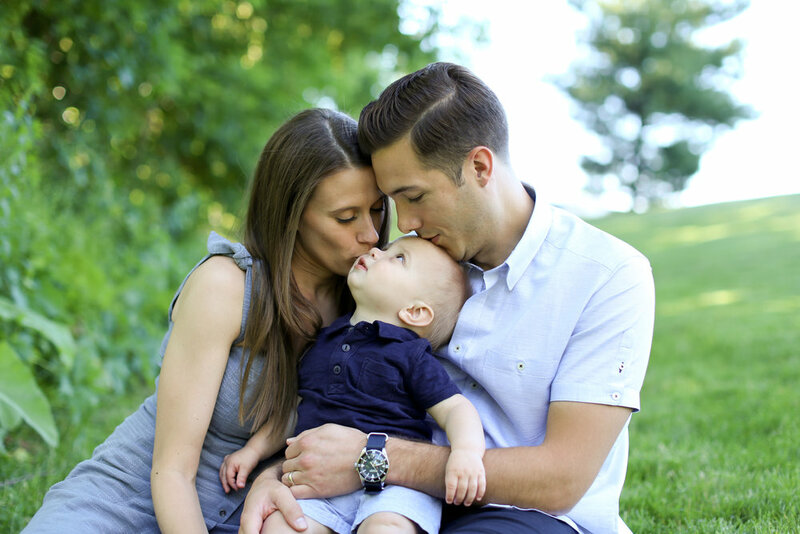 Your time in front of the camera should be a perfect expression of your family and the love and laughter you share. So here is to learning from these shoots. To learning that just laughing and playing is what it is all about. That your family knows how to make each other smile and my job is to simply capture these moments for your family to cherish forever. Happy birthday, Addison! 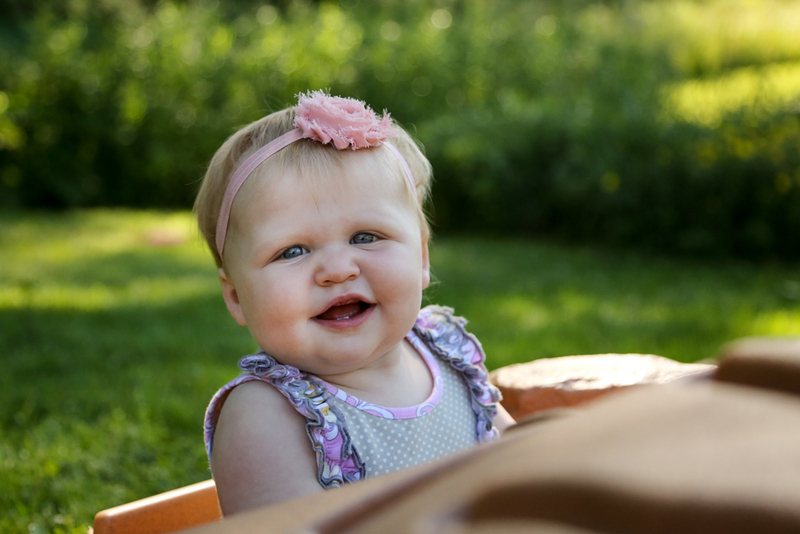 We had way too much fun photographing Addison for her first birthday. While she was a little unsure about me at the start of her shoot, I would like to think we ended it as best buddies. It may not have actually been me, but rather the bubble maker that was constantly residing right behind where I was shooting. But hey, either way, I will take these smiles! I need to get one of these bubble makers to keep with me all the time! I was lucky enough to photograph Addison's mom and dad for their engagement and their wedding, so it was a special treat to capture this next stage of life with them. 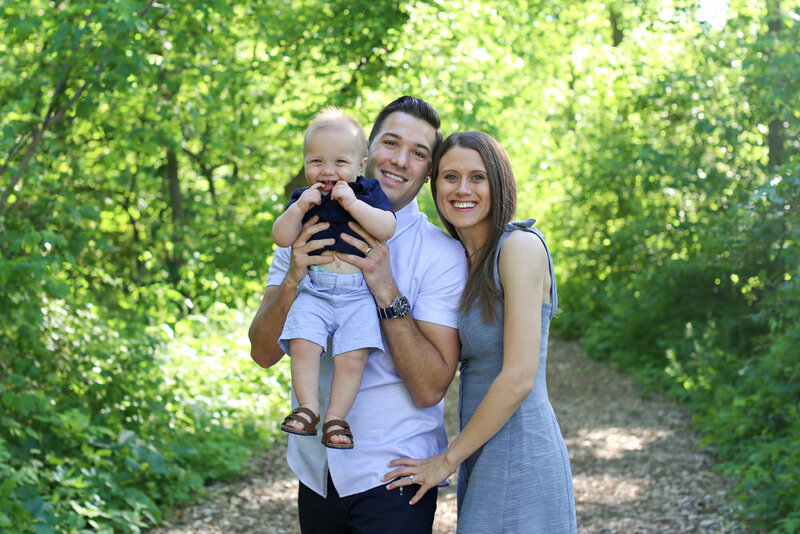 Emilee and Andy have very clearly, happily settled into this new stage as parents. I could not get over how much they adore their little lady, and how much she adores them back. 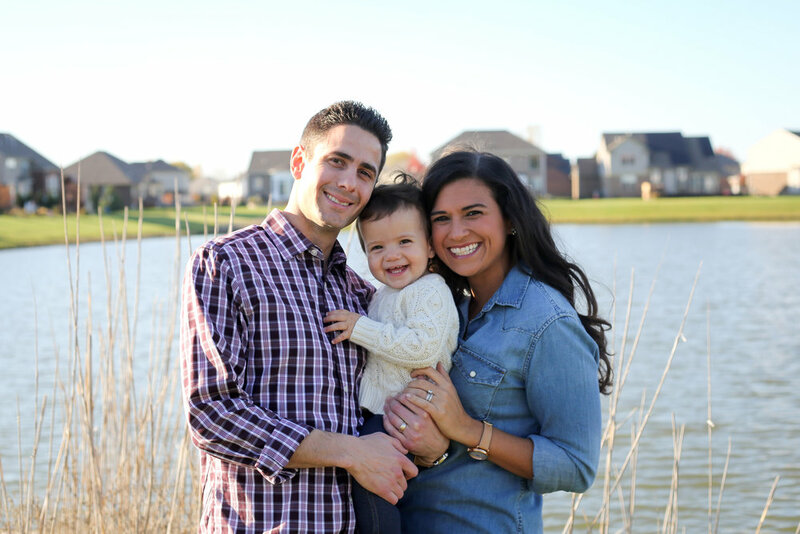 Their house must be on an endless circuit of big smiles, belly laughs and cuddles! 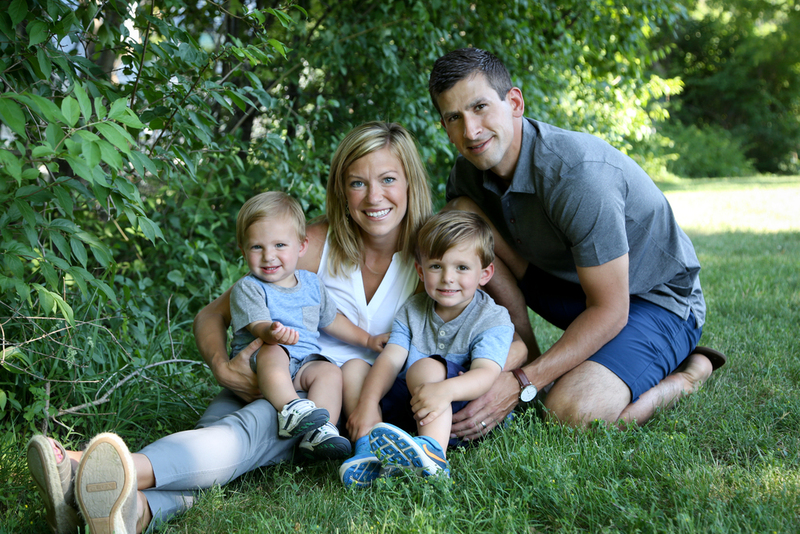 Thanks so much for letting me join in on the fun, Bilski Family! 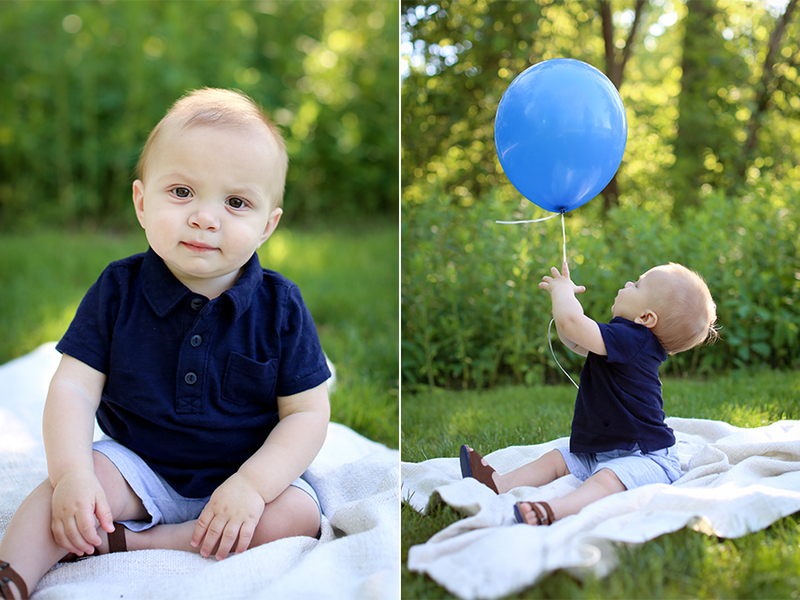 I have been photographing a whole bunch of little ones for their first birthdays lately. It absolutely amazes me, how outgoing and sweet all of them are. Bretton was no exception! He showed up with the biggest smile on his face and it didn’t fade the entire time we were together. Bretton’s mom and dad were troopers too. We had to have met on one of the hottest days of the summer. Clearly it didn’t faze them since they look amazing in every picture! I am so spoiled because I get to watch parents as they giggle and play with their little ones, and then capture the joy in their family. The Cregars had a whole lot of love and joy between the three of them. 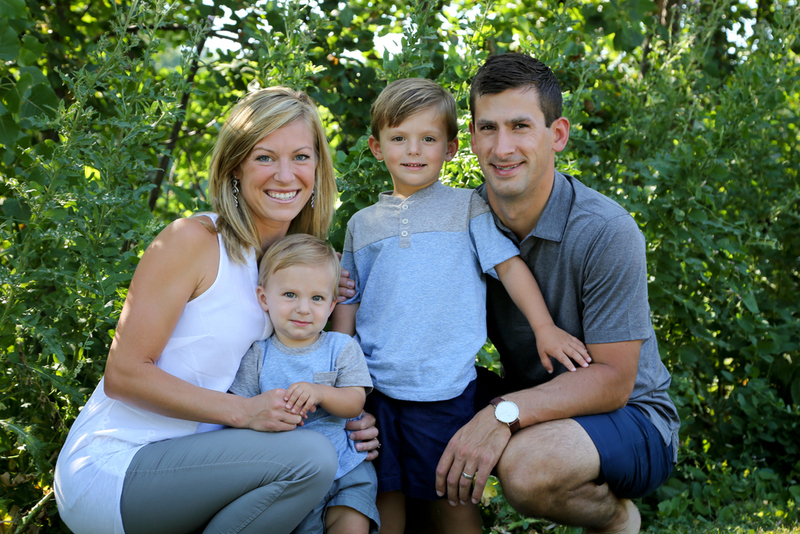 Thanks for letting me capture that for your family, Cregars! 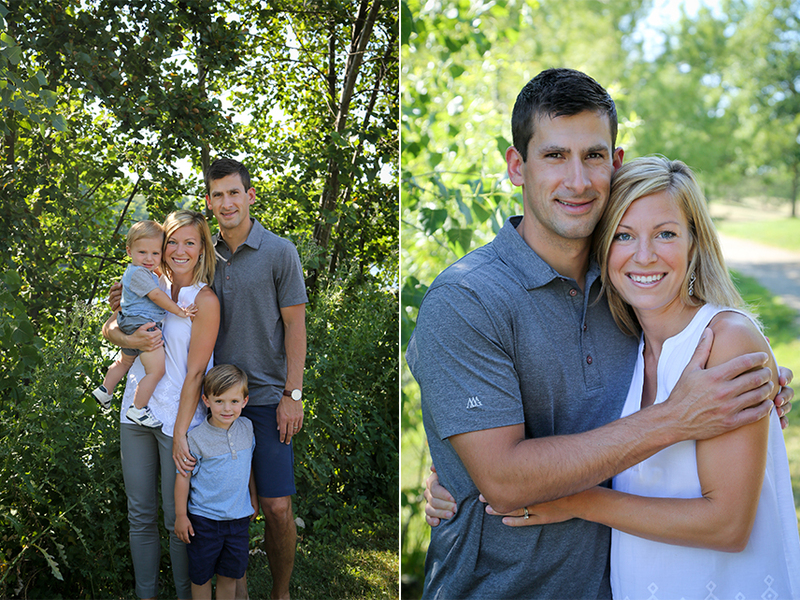 These pictures are from a sweet Sunday afternoon shoot on Father's Day. I met Lennon and her parents at Heritage Park in Farmington to capture a few pictures in honor of Lennon's first birthday. Shooting on the holiday really reminded me why I became a photographer. 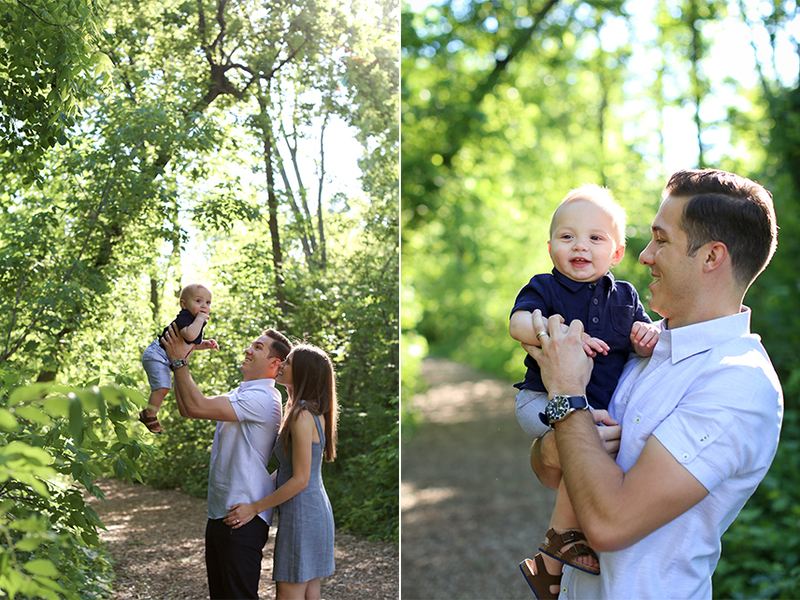 It is such an honor to capture pictures that will be cherished for a lifetime by a family. While I never want to speed up time, it is fun to think that one day when Lennon says 'I do' a few of these pictures just might make their way into a slideshow or onto a memory table. And thinking about that makes me feel so honored to capture these memories. 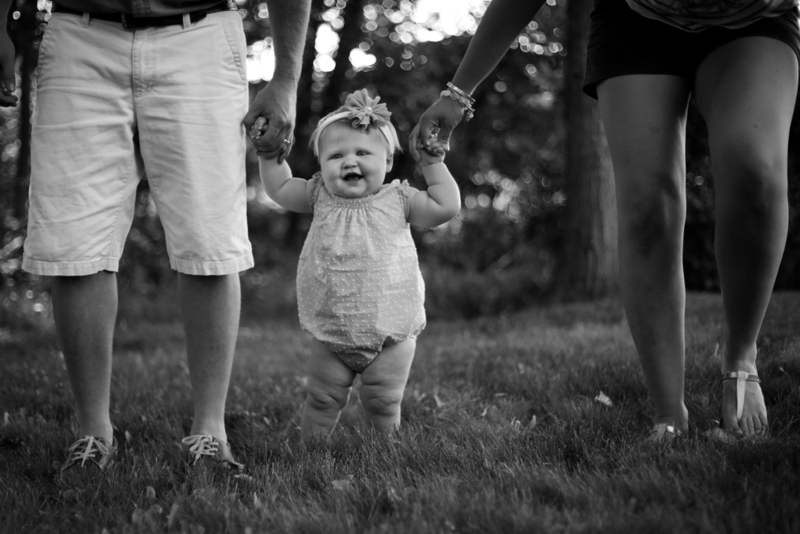 Little Lennon was all smiles during her shoot. She wandered around the park and explored to her heart's content while we just tried to snap a few of her genuine smiles. It was clear that her mom and dad absolutely love the new addition to their family, and they interacted in such a sweet and loving way. And let's all be honest, it doesn't hurt when your family is this stylish on top of everything else. It was a good, good shoot. Happy first birthday, Lennon! Charlotte stopped by my home studio as part of her first birthday celebration and it was so great to see her and her family. She was such a rockstar during her session. I couldn't get over how focused she was even with all the distractions (I mean we had balloons!) And when a photoshoot involves an outfit change into a tutu- well then, all is right in the world. Happy first birthday to you, Charlotte!